30 spokes? Sometimes 6 will do. 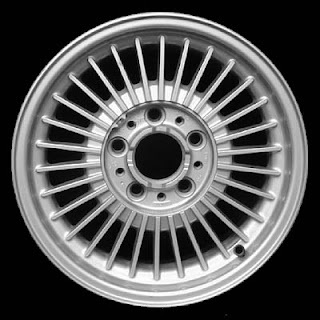 The thirty spokes unite in the one nave; but it is on the empty space (for the axle), that the use of the wheel depends. Clay is fashioned into vessels; but it is on their empty hollowness, that their use depends. In order to turn a wheel, although thirty spokes must revolve, the axle must remain motionless; so both the moving and the non-moving are needed to produce revolution. In order to mold a vase, although one must use clay, he must also provide a hollow space empty of clay; so both clay and the absence of clay are required to produce a vessel. 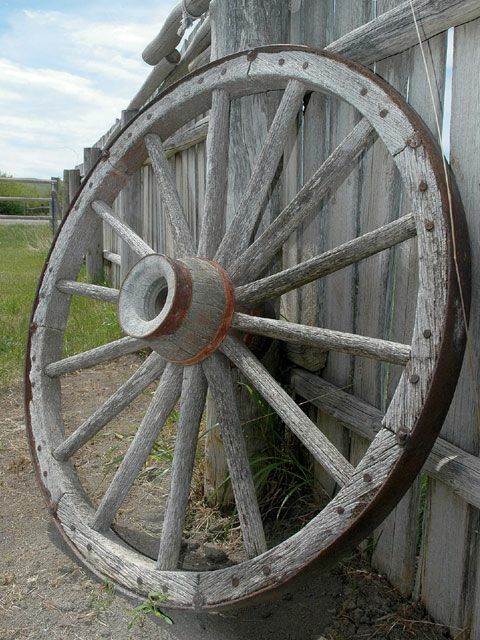 Thirty spokes unite at the hub but the ultimate use of the wheel depends on the part where nothing exists. Clay is molded into a vessel but the ultimate use of the vessel depends upon the part where nothing exists. 14 spokes on this one. It is not the clay the potter throws which gives the pot its usefulness, but the space within the shape from which the pot is made. This one has 16. Would 30 fit? but it is in the space where there is nothing that the usefulness of the cart lies. but it is in the space where there is nothing that the usefulness of the clay pot lies. 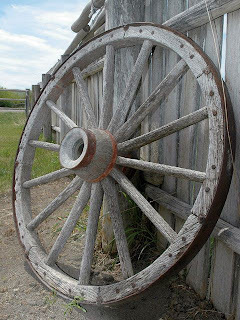 in this ‘nothing’ lies the wheel’s usefulness. in its ‘nothing’ lies the jar’s usefulness. but you keep things in the empty space inside. But the utility of the cart is a function of the nothingness (wu) inside the hub. But the utility of the clay pot is a function of the nothingness inside it. If all of space were full of solid matter, nothing could move or live. Emptiness is the space of possibility: where nothing is, anything could be.